Inspired by a sweet meringue-based confection made with simple ingredients like eggs, icing sugar, granulated sugar and almond powder. However, making the perfect sweet is not an easy task. 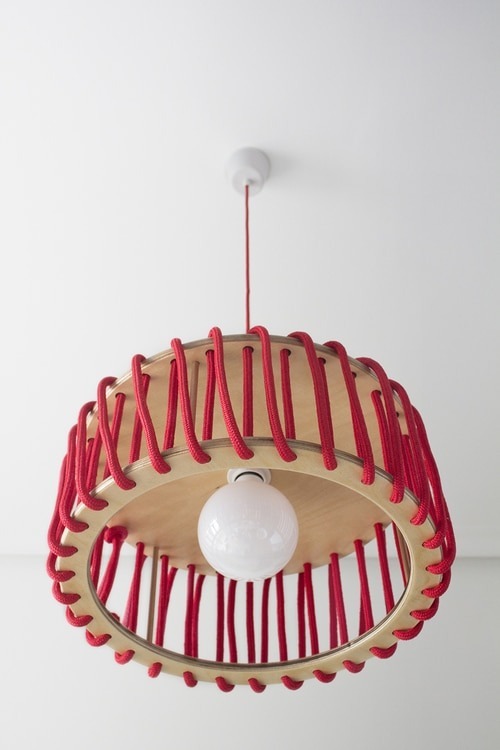 Macaron cnadelier lamp follows the same idea; combining simple materials with the right proportions, in order to get a lamp with personality. Wood conveys us warmth and strength. 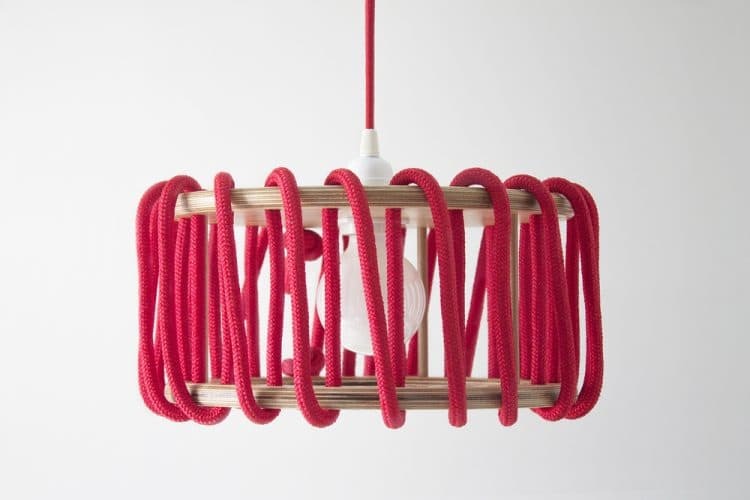 along with the cord which links between the two pieces of wood, giving a touch of originality with its texture and color. It happens quite the same when it comes the macaron with different flavors combining perfectly in it. Maybe a DIY tutorial soon… more here.